Why Genesis Fitness Clubs Casula? Genesis Fitness Clubs Casula gym is one of Sydney’s premier health clubs. The state of the art Casula gym offers members unparalleled facilities in a convenient location in the Casula Central Shopping precinct. Experience a truly enjoyable lifestyle by blending Genesis Casula gym into your health and fitness routine! Genesis Fitness Casula gym is the Fitness Club for EveryBody! Our vision is to provide a professional and honest service superior to other fitness clubs. If you are wanting to get started on a new healthy program and not sure where to begin, Genesis Fitness Clubs is for you. Our state of the art Casula gym offers all the latest in fitness technology under one roof. With 2 dedicated group fitness studios we offer cycle, Casula Pilates, your favourite Les Mills classes, Casula Zumba and a whole lot more. We also provide a dedicated Casula women's gym area, functional training zone, personal training area, some of the best Casula personal trainers and so much more! You'll be amazed by the surreal experience. With clean, modern change-rooms with relaxing steam rooms/detox boxes, on-site Child minding, we'll provide you with a refreshing and comfortable workout. There is so much to do at Genesis Fitness Casula. Genesis Casula gym is located at Casula Central. Our Casula gym includes a full range of dumbbell, barbell and benches. A comprehensive range of easy to use pin-loading and plate-loading machines. Our Casula gym has rows of machines so you'll never have to wait. Our Casula gym instructors can help fast-track your weight-loss results. Add variety to your workout with rowers, treadmills, cycle bikes and more. Our Casula gym provides a spacious free-weights training zone. Casula personal trainers can incorporate abs and stretching into your training. Casula gym instructors can tailor a strength program to suit your goals. Dedicated Casula women's gym at Genesis Casula. Over 35 classes per week inc. Casula Pilates, Tabata and Latino. The state of the art Genesis Casula cycle studio. Genesis Casula - helping to keep the family fit together. 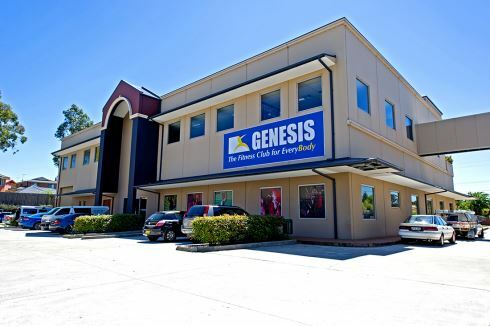 Genesis Fitness Casula will help you on your way with a Genesis Fitness membership.